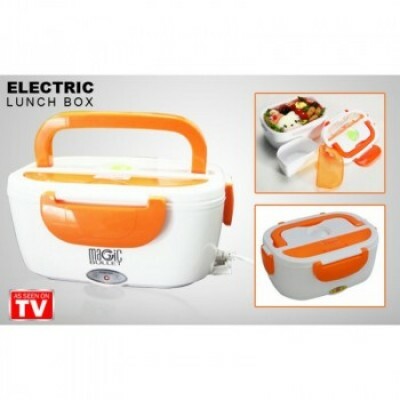 Electric Lunch Box Food Warmer-C: 0229. 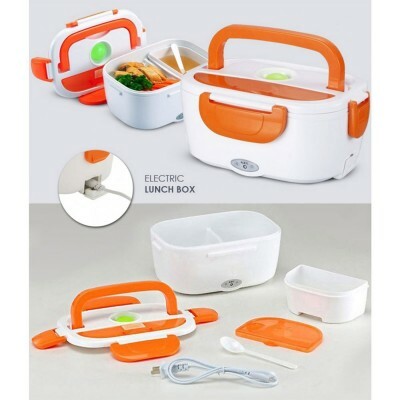 This Electric Lunch Box helps to have your food warm or hot. 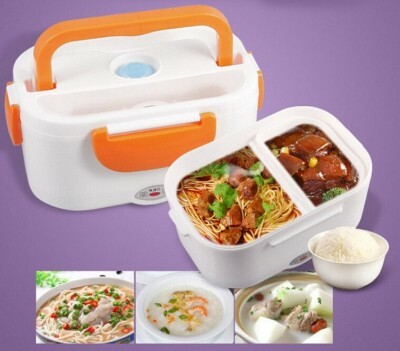 No more fast food lunches and microwaving of your meals. 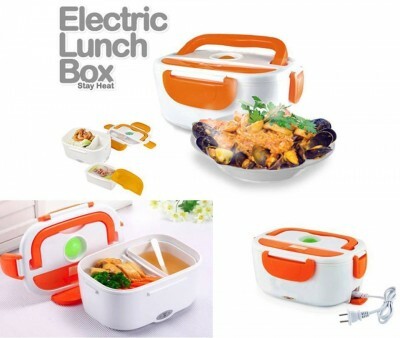 Just plug in an electric outlet and warm up your food right at your desk and enjoy it warm or hot. 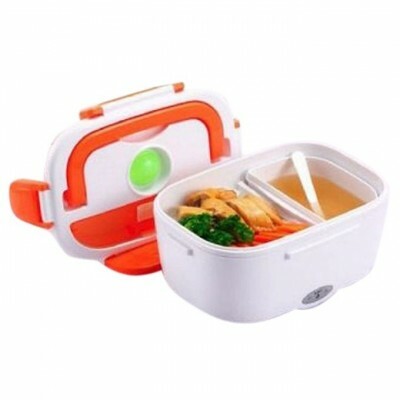 A useful one to take your food to your office or school. 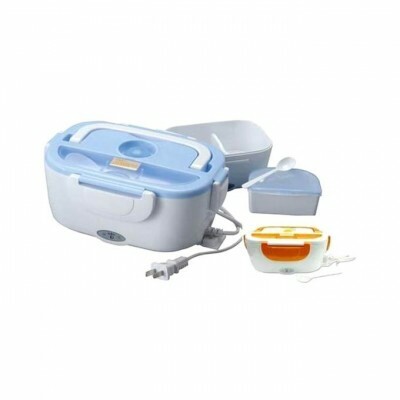 Made of heat resisting environment-friendly material. 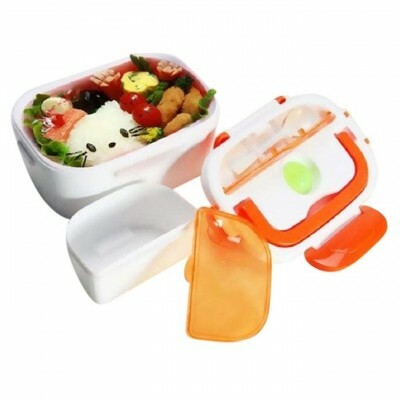 Keeps your food fresh and hot. 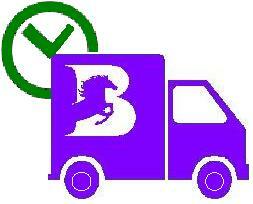 Odour free, safe and healthy, PTC heat element. 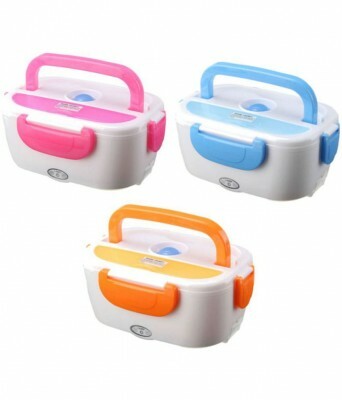 Easy to carry, lockable and easy to operate. Dimension: 23 x 16 x 11cm. Capacity?:? 1.05 L-? 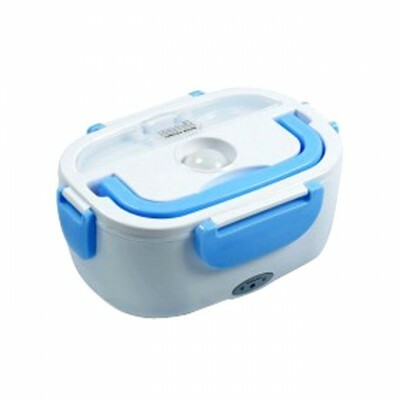 (?rice box?:? 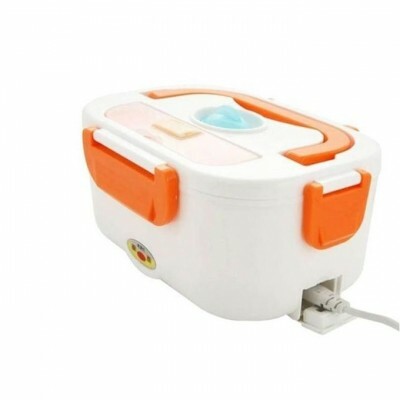 0.6 L/vegetable box?:? 0.45L?)?. Sealing lock on four sides of the cover. 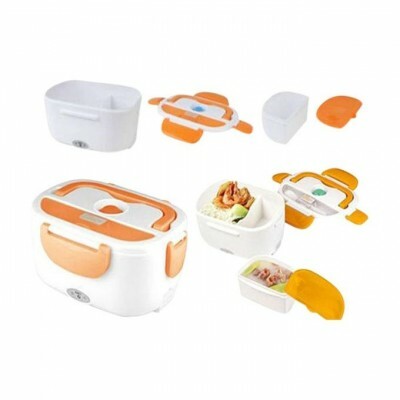 Heat your food anytime and anywhere and keep them warm for several hours.